This blog might be all about my family, but some times, it's just about me. aAnd so, when 31Dover got in touch and told me about their fab Sipsmith London Cup bundle, I couldn't wait to get my drink on. I mean, I've got 3 children and it's the school holidays, a time when we should be relaxing outdoors in the sun - sometimes a parent needs a drink! With everything needed to enjoy a summer party in the sun, the bundle includes a bottle of Sipsmith's refreshing and aromatic gin-based London cup, two x 275ml bottles of Fentimans rose lemonade and a free Sipsmith branded glass carafe to serve it all in - there's no better partner to summer sunshine. It's probably not a surprise to you all that I spend a lot of time, probably too much time, exploring Pinterest and finding how I'd love my house to look. You know, if I had the money. It's amazing the amount of products are available online and it's a great way to design your own rooms as you can find products that compliment each other. This summer, proud parents across the UK and Republic of Ireland will have the opportunity to see their child’s drawings displayed for all to see. 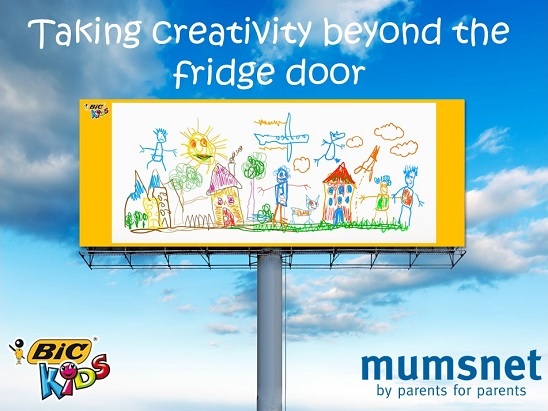 In partnership with Mumsnet, BIC® KIDS is launching an amazing competition celebrating kids’ creativity by taking their fabulous drawings beyond the fridge door, putting 10 lucky winners’ works of art on billboards across the nation. The 10 lucky winners will win a hamper full of BIC® KIDS drawing and colouring instruments as well and one entry will also be chosen at random to win a £300 Tesco voucher. To enter, children aged 5-11 just need to draw their very own picture and it's all about being creative and letting their imaginations run wild! Then parents simply need to take a photo of their child’s drawing and upload it to the native discussion page on the Mumsnet website by Sunday 6th August. There are many reasons why you may consider introducing your baby to a bottle. For example, you may want to start using a bottle so that you can start feeding your little one some expressed breast milk; or, know that you will need to leave your baby when returning to work, and you want to ensure they have some milk while you’re away from them. Are e-cigs a gateway to traditional smoking? Electronic cigarettes and their associated e-liquids have become one of the most popular ‘gadgets’ in recent times. Almost out of nowhere these alternatives to traditional smoking have given smokers the kind of opportunities to either kick traditional cigarettes to the kerb in favour of these more practical alternatives. Depending on which media sources you read, e-cigs have a wide range of pros and cons. There are sceptics who believe e-cigs are a gateway to traditional smoking and believe there is a substantial risk to young people who are attracted to new forms of technology. They think the young will overlook potential health risks and take up vaping or even traditional smoking just so they’re “on trend”. Created by VR Entertainment Ltd, VR Real Feel Racing offer technology that puts players inside the action like never before. Using a 3D system with a steering wheel for intuitive control and movement. With thrilling games and VR apps to download, the VR Real Feel Racing Simulator puts you in the driver's seat for a truly exciting and immersive virtual experience. Featuring a 42mm lens headset that harnesses the power of Apple or Android smartphones, VR Real Feel Racing delivers pixel-popping graphics in stereo 3D. A patented Bluetooth steering wheel with Max Force Feedback, enables players to steer, accelerate, brake and change the view with the steering wheel, far more intuitive than tilting the head! 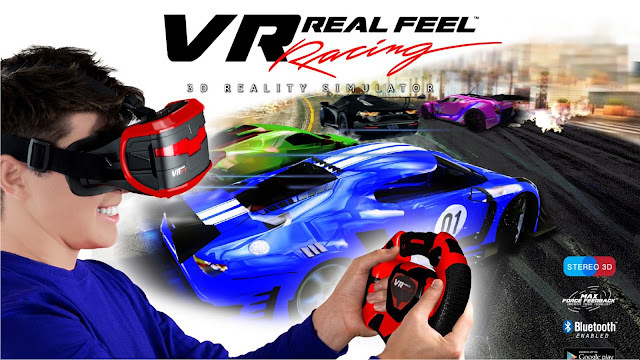 VR Real Feel Racing is available now for £39.99rrp. Available from Toys R Us, Amazon and Smyths, Halfords and Debenhams. As someone who spends a lot of time online, I find myself drifting to online shopping a lot and usually end up with all sorts in my imaginary online shopping cart. Shopping online is not only a great way to save time, but you can search around for products so easily and usually get a better deal too. Amazon and eBay are my initial go to places when I'm looking for something, and then I use Google before locating to the well known shops and small independents. I've easily saved hundreds of pounds by searching online, Christmas is the best time to be looking too as all those online shops have sales too. No need to even leave your arm chair! Documenting your life with your children in various ways is one of the best ways to have something amazing to look back on later on. How about some fun family portrait ideas for your photo album? Here are a few to get you started! Camping with your kids is an experience to cherish for many years to come. You will enjoy plenty of laughter and lots of fun, plus it will be an incredibly enriching experience too. However, you may be worried that camping as a family can be stressful; especially if this is not something you have done before. The key is to be prepared. Read on to discover some essential tips for your first camping trip. The living room is arguably the most important space in the whole family home. It’s the place where the household can interact together and enjoy the closeness that only time with loved ones can bring. Therefore, ensuring that your lounge is fit for purpose is essential. Transforming your living room needn’t be a budget-busting activity, though. These quick, easy, and affordable design tricks should help you create a winning vibe with minimal hassle. So, what are you waiting for? Let’s turn those vision of the perfect space into a reality. It's safe to say that we're a family that loves swimming. I mean, we go at least once a week and both T and C have swimming lessons to teach them all the basics so they're both able to safely manoeuvre in the water. J will also be starting lessons too, although these will be parent and child one so I'll be in the pool with him at all times. 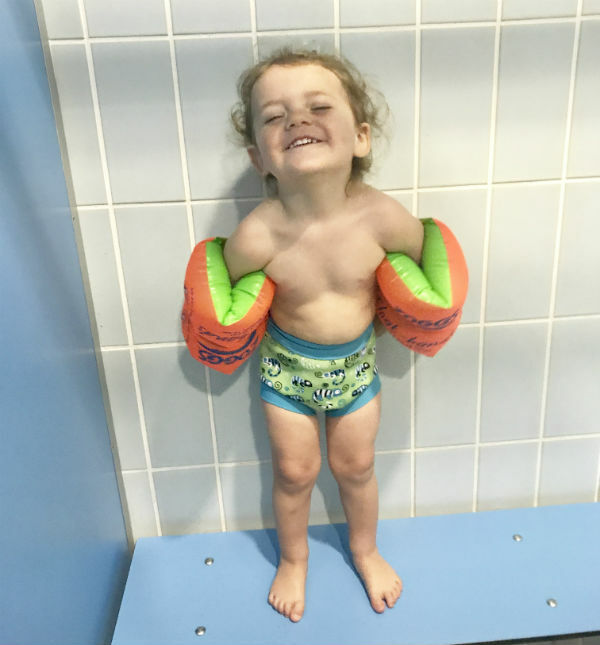 When Splash About got in touch and asked if he'd like to try out their new and improved Happy Nappy, I couldn't wait to give it a go and see how he liked it when swimming. Spring is once again upon us and it’s time to choose your outfits accordingly. 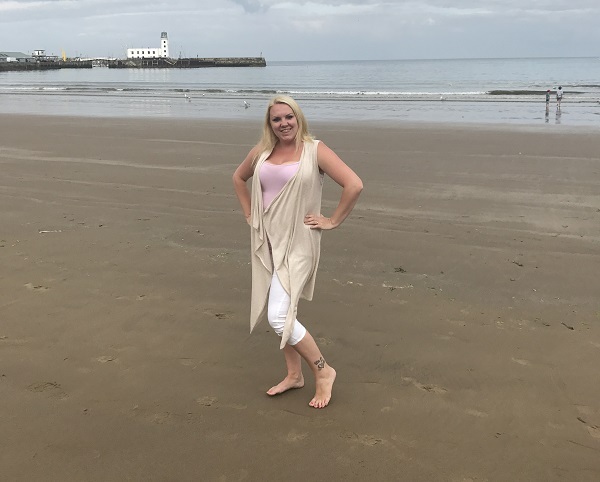 It’s always a challenge, as spring is a changeable and uncertain month and you want to pick clothes that let you enjoy the fine weather, and fit in in a sun soaked park, but that will also work if you need to cover up in a hurry and keep warm and dry. Lots of the big design names latest seasons have some very bold looks and fresh ideas, but if you want to cut a more classical figure, we’ve prepared some advice for timeless looks for the spring that’ll see you through to summer in style. A classic of the spring season: lighter than you will have been wearing since September and with a nigh universally flattering silhouette for when you’re enjoying drinks in the longer, hotter evenings. Picking out a shift dress in monochrome stripes can give you a more exciting, experimental look, or you can hew close to the classics with a solid navy design. Dobies of Devon, an award-winning seeds supplier, has put together this in-depth grow your own gardening calendar so that you know precisely what to plant and when for the remainder of the year. As a mum, I am aware of all the time restraints I have when it comes to actually making myself look presentable. I mean, when I'm slumming it at home, I'll scrape my hair back and my face probably won't even see a lick of eyeliner never mind a full face of make up. When I'm going out though, it do try to actually make myself look less zombie-like, but having 3 children that take up most of my time and take an absolute age to get ready themselves, it is hard to find the time to look after myself and make me look like the 29 year old young mama I am. I mean, who actually has time to sit in a salon for 3 hours with foils in their hair, spend days on end waxing, or doing a full on contour everyday, as I sure as hell don't. 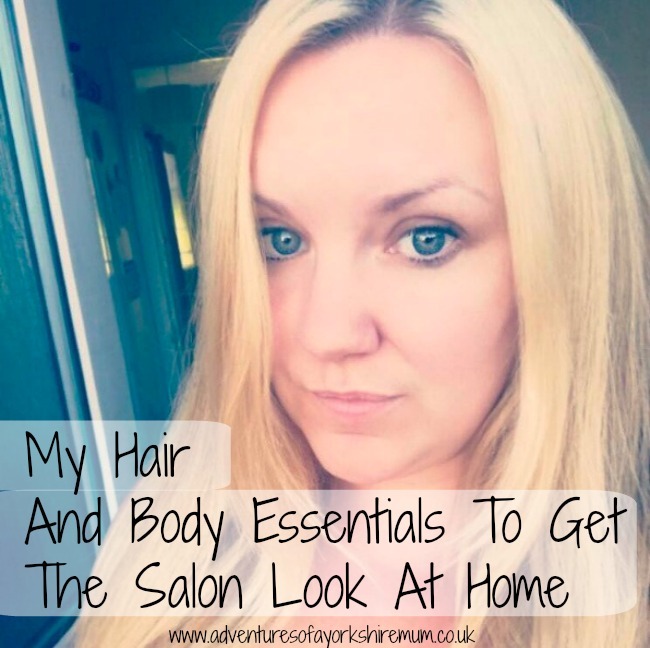 It's taken a while to find my style, my look and my preferences, and my sensitive skin causes me so much bother too, but eventually, I've rounded up all my favourite products, all those products that help me look presentable in the shortest amount of time. 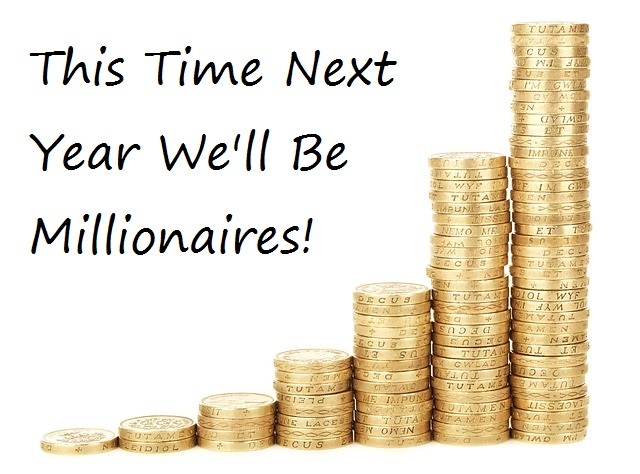 This Time Next Year We'll Be Millionaires! The ones who would make it their mission to spend it as quickly as they can. The 'I'll still keep my job' people. The investors who keep their money growing. I personally thinking I'm the latter of these. I'm sure we've all dreamt of winning the Lotto once or twice and wondered what we'd actually spend the money on if we were that lucky. For me, although yes I would have some nice holidays and buy a few lavish things, I'm still too tight to pay extortionate rates for things so there'd be no high-end shopping or splurging on things I wouldn't actually ever use. Before J started pre-school, it wasn't often that I actually got a bit of time for myself. I would either be running around after him, or playing with him. And now, since he's started at pre-school and whilst T and C are both at school, I've been making sure that I get some time to get away from everything and just be myself. And I'm telling you now that I was totally shocked when I realised that the 'me time' I was actually craving was some time at the gym. Now you'd think that going to the gym would be gruelling and something that people don't actually want to do, but for me, it makes me feel free. The light in a room can make or break the look of it. Too dark and you’ve got an unwelcoming dark and dingy room that everyone will want to avoid. Too bright or harsh, and you’ve got a room that could give you a headache and not help you to relax at all. Light affects you when you’re in a room, as well as the colour of the room; light can make colours in the room look better or worse, depending on the lighting you choose. As well as all of that, you’ll want to use lighting to create a certain ambiance in a room, like mood lighting in kitchens or spotlights in an office, for instance. But you also use lighting as part of your room decor. A room painted in a modern colour scheme, like monochrome, for example, can suddenly look outdated if you have old-style lamp shades and fittings. So there really is more to lighting that you might think! 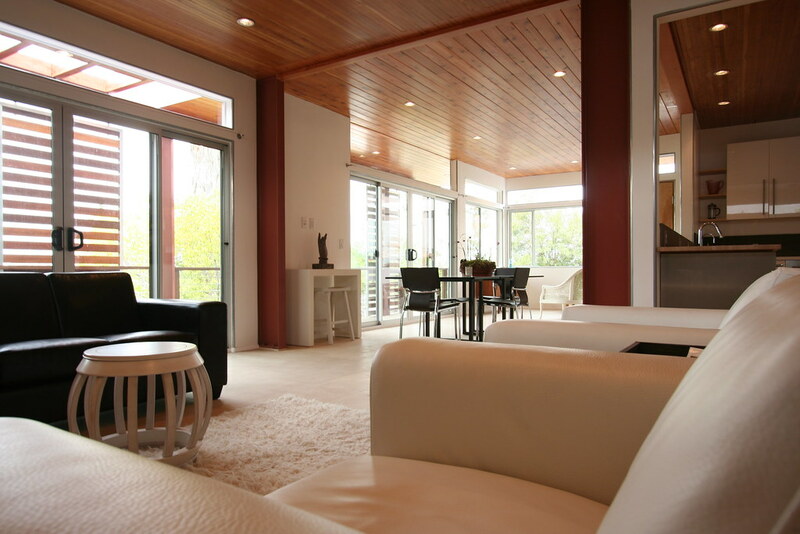 Here are some modern ways to light your home to help create the look that you’re after. 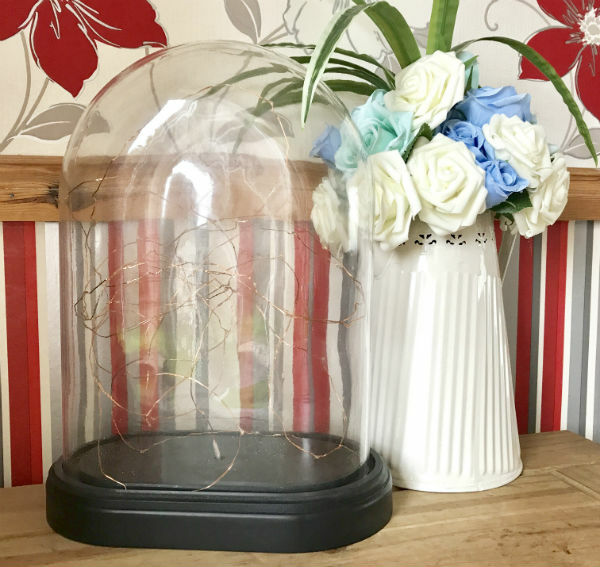 It's not often I write about my husband and so when this opportunity came up, I thought it was a good time to let him feature a bit more on my blog. 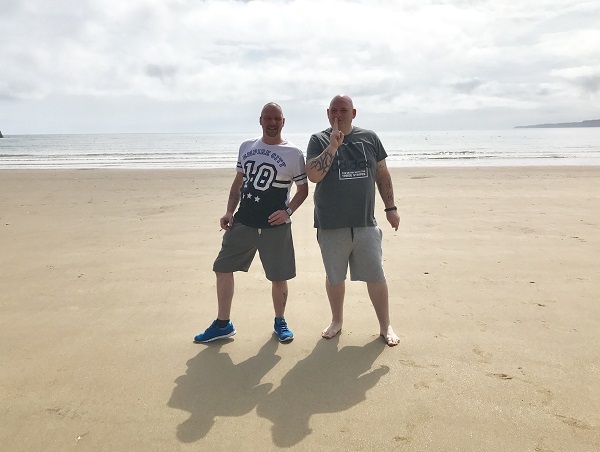 Jacamo got in touch and wanted to work with me on writing about their clothing. My husband regularly buys from there any way so I knew that he'd love to pick out some items. He had a look around the site out picked out 3 pairs of men's shorts that he liked the look of. This was just before we went away too so it was the perfect timing to get some wear out of the shorts. I mean, we are in England so it's not that often that we get some good sun! Whilst we were away, we decided to enjoy our evenings down on the beach. It had quietened down at this time and meant that the kids could play, and run around without having to dodge the sunbathers, it was stunning weather too so we could just sit and watch them having fun. We brought a little picnic down with us so that the boys could snack whilst they played, and we were sent some Bitter Union cocktail bitters from 31Dover.com so it meant that we could enjoy a little tipple in the evening sun. 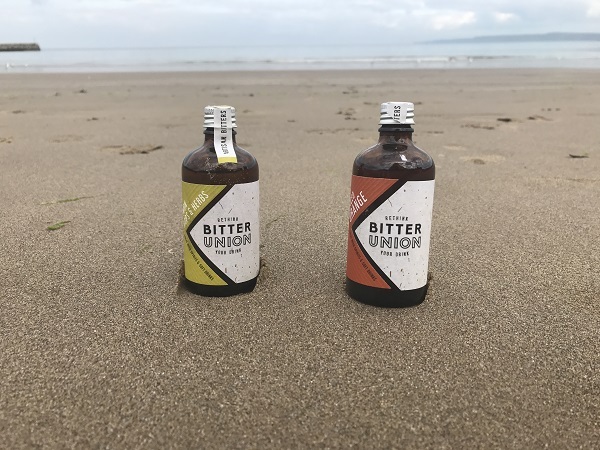 Cue people giving me a dodgy look as they noticed me photographing what looked like alcohol on the beach! Now I know you're probably looking at this post and noticing that it's a few weeks late. Well that's because we've been away and so our Father's Day was celebrated late. It meant that we couldn't do any of our crafts until we had got back. Well, this year we decided to follow the framed writing bandwagon and Hobbycraft helped us do just that. 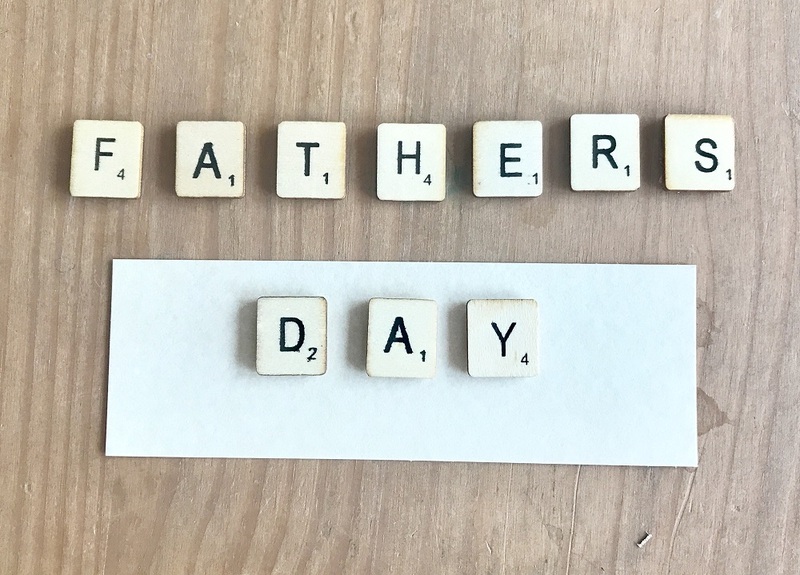 They sent us a selection of items to get creative with and left us to get our craft on, so the kids could each make their dad their very own, unique gift.